The Knight Commission's 20th anniversary brought with it a major study and associated media attention as the watchdog of college sports published their findings about how college presidents view the current state of intercollegiate athletics. I encourage you to read the report in its entirety as there is a mountain of interesting information, much of which will serve you very well as you discuss, support and defend athletics on your own campus. This is the first of a multi-part series examining the just released study. My intention is to examine the current study using the recommendations in the Knight Commission's 1991-93 reports. These reports established four primary areas of importance in order to "reform" intercollegiate athletics, which was perceived as out of control in the early 1990's. The four primary areas were: Presidential Control, Academic Integrity, Fiscal Integrity and Certification. The Commission's first recommendation from 1991-93 reports called for the clear establishment of presidential control. It is clear that the leadership structure desired by the presidents has developed since the commission called for this action. Presidential leadership can be found throughout the NCAA's organizational chart and most Division I athletic directors report directly to the president. But despite the presidents and the Commission achieving their goal, the findings of the current report indicate presidents feel as sense "powerlessness" (the Commission's characterization) related to changing the system. They individually express interest in reform, but don't believe that their own individual actions would make much difference and that the political consequences for acting autonomously would be significant. Further, many don't believe the problems exist on their own campuses, but that collectively the enterprise needs repair. Said one president - "The real power doesn’t lie with the presidents; presidents have lost their jobs over athletics. Presidents and chancellors are afraid to rock the boat with boards, benefactors, and political supporters who want to win, so they turn their focus elsewhere." Said another - "Presidents of big schools aren’t listening and don’t want to." Further, the presidents appear conflicted about the entire athletic enterprise - wishing the world were different while readily acknowledging the benefits in admissions and fund raising that their campuses receive from athletics. Said one president about the undergraduate admission benefits of athletics - "I believe intercollegiate athletics has had positive effects on enrollment, student engagement, and the like. The 2006 football season, for example, dramatically increased student interest in [the university]. The next summer there was a 65 percent increase in number of students and parents visiting campus. The number of applications went up and the quality of students increased as measured by GPA and test scores." And another president about fund-raising - "Even in this recessionary year, last year was a record [for fundraising] and this year topped that record. . . . I have a donor who gave $500,000 to athletics and then turned right around and endowed a chair in an academic program for $3 million." And others - "Strong athletics gives you the ability to get on center stage in the spotlight, and if you’re smart enough to leverage that to help the academic side of the university you can be even more successful than if you treat academics and athletics as separate worlds." "It gives huge brand identification." "No other topic gets as much coverage [as athletics does]. I spoke to a group of 30 high-rollers, half well-placed people in the judiciary. In the Q and A, first question was about medical school, but second was about the quarterback for the football team." It reminds me a little of global warming. Many people think is a problem that needs to be addressed, lest the planet collapse. But while everyone contributes to the problem to some degree, eliminating contributing factors reduces individual benefits and rights at the local level. Reformers call for everyone to sacrifice for the collective good and to save the planet. "Planet college athletics" doesn't appear to be a whole lot different and if given a choice to think globally or locally, local actions will win almost every time because the possible political consequences of tough decisions outweigh the will to change. Most people think reform is necessary, but there sure are some nice benefits to driving a big car. The powerlessness of presidents is also reflective of a certain reality - that control of an athletic program takes time, energy and attention, but it is just one area on their very complex college campuses - campuses that are in some cases billion dollar businesses with little resemblance to "Good Will Hunting" or "The Paper Chase". The presidential job description is nothing like it was twenty years ago and fundraiser in chief is often first on the list of important priorities. In addition, enrolling increasingly talented classes and demonstrating greater admissions selectivity improves your US News and World Report ranking, demonstrating the success of your leadership, which leads to more successful fundraising. Why do anything that might make your largest donors less inclined to give and prospective students less likely to enroll at your institution? Said one president in the report - "You raise money where you can and play the game. Raising money for athletics doesn’t take it away from academics." What presidents have demonstrated by their comments and in their actions on individual campuses, is that they are competitive - for students, faculty, rankings, research funding, donations and government support. And if they want to be successful, they have to compete in athletics. This is completely rediculous. Presidents are the ONLY one's with power and voice to stand up and finally make meaningful change, but they are concerned more for their perceptions from Boards than doing what they, and everyone else knows is right (See Gordon Gee). This is a travesty and they should seriously be ashamed of themselves as so-called educators. There is ABSOLUTELY no reason why a coach should make more than anyone else on campus. Or in the entire state! This is typical insider-speak. Change wil never come from within, because too much money is involved. If you do not admit to that basic, obvious fact, why even keep this blog? Michael, I have enjoyed reading your take on issues regarding athletics in higher education. Speaking as a commissioner, presidents are interested in taking a stand, but don't want to be left out on an island. For one school to make changes, while the others continue business as usual, can put the institution behind the proverbial "eight-ball" when it comes to recruiting and retention. These are two things that mean more at our level than any other. It's easy to say "take a stand." But when your Board says "do this," it's interesting to see what your moral compess will do. Anon #1) Coaching salaries that are greater than the president's salary or make the football coach the highest paid state employee are largely a function of economics and what the market will bear in order to win. Coaches make the difference, more than any other factor, in winning and losing. Anon #2) With respect to the concern about "insider speak" and money preventing change - I am indeed an "insider" and that perspective allows me to see on a daily basis the positive and negative aspects of intercollegiate athletics. 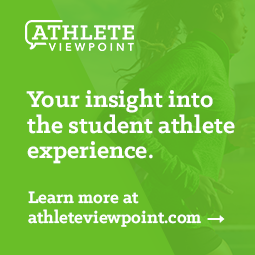 There are many good things that come from college athletics that benefit both athletes and their campuses. Large budgets or salaries aren't by themselves an indication of problems - but in the context of an economic crisis, large budgets and salaries attract even greater attention. In almost every endeavor of today's society - education, athletics, business, religion, charity, family, economic health is a central theme. The money invovled can make change difficult. But if this study been done in 2006 instead of 2008 and 2009, I think there may have been some different findings. Anon #3) I agree with your comments about the presidents' predicament. Its very similar to that which is faced by athletic directors. But the Commission's choice to use the word "powerlessness" is a stunning representation of the nearly 300+ Division I college and university leaders who participated in the study. I don't think that my comments said "take a stand". But as it relates to the Commission's 1991 call for presidential control, which has clearly been achieved, a characterization of powerlessness is remarkable. I also agree that no wants to be on an island. Interestingly, conferences also express reluctance to act independently as well for fear of falling behind other conferences. The Big Ten doesn't want to fall behind the SEC in the competition for television exposure, recruits, sponsorship or any other area. The ACC, Big XII and other Big 6 conferences all share the same view. Meanwhile the MAC, Mountain West, and Boise State's try to compete in a system that is stacked against them on the football side. Meanwhile the FCS and non-football schools are trying to compete for the same prize in all other sports. If there is an interest in change from the presidential leadership, it will happen. But "change" is a rather abstract notion. It's a non-specifc call for something different. There are probably hundreds of different conceptions of change and where presidents will stand on the specific aspects of change will be largely dictated by where they sit. This is as it should be. They're instituion specifc leaders, with one vote in a larger athletic context. Making "change" - particularly as it relates to economics, is very difficult because no one is willing to give up their own competitive advantages and no one will state that they can't get to the top. If they believe or acknowledge they can't, they might as well leave Division I. In the coming postings for this series, I'll get into these issues more and hope to summarize with some ideas for moving forward. I published something about this topic on my website (Other Side Sports) three or four days ago. I don’t know if my RSS feed is broken or something because the aggregate on Michael’s site has not updated the listing with that story on there. Anyway, my findings were very, very similar to Michael’s. The funny thing is the Knight Commission is a perfect example of presidential weakness. Gerald Turner is the co-chair of the commission and the president of SMU. What did SMU do a couple years back? They fired their football coach, Phil Bennett. Bennett had one of the best, if not the best, graduation record in Division I. Instead, they threw big money to steal away Hawaii’s June Jones. Jones had a good W-L record at Hawaii, but his ethical record is not nearly as good as Bennett’s. He might be a better coach, but look at what it cost SMU in terms of money and ethics. If anyone, SMU should be aware of the problems caused by criminal teams. Apparently President Turner had other ideas and was willing to flush a coach that was good at what matters down the toilet and put a major question mark on the throne. Then there is the case of the loud mouth president of Georgia, and visible Knight Commission member, Michael Adams. A few years ago (I believe 2006) it came out that UGA had the lowest football graduation rate in the SEC. Did Adams, who you would expect would demand reform given his Knight membership, go on an ethical crusade? Quite the opposite. He defended the low graduation rate by telling the Atlanta Journal Constitution something along the lines of that UGA had to compete in the SEC. The funny thing is that UGA team, which was pretty highly ranked at the time, lost at home to Vanderbilt the week following that silly comment. Vanderbilt, of course, has the highest graduation rate in the SEC by far. Given all of this, it almost sounds like the Knight Commission is some sort of front group. Is it an organization built to give presidents more power just for the sake of having more power? Or is it an organization that pushes lower end Division I teams to reform (meaning become less competitive) so the big schools have an easier time winning? As silly as that may sound, the BCS basically does the same thing. Then again, I think it is just an example of the powerless presidents. Sure, they could make changes if they want to, but they aren’t willing to risk their jobs for it. I think Michael does a good job explaining it. I think one has to study Robert Hutchins to see why it isn’t likely that a president will take a stand. Obviously, the Knight Commission either has to significantly change their strategy or close shop. I suggested on my site that an independent Board of Directors be selected for the NCAA. This would be people outside member institutions’ administration and athletics departments. Perhaps faculty could be on it, but even then they might need to be outside member institutions. Could you imagine a Williams professor on the Division I Board of Directors? Now there’s a chance for progress! Knowing that, it will never happen. Your statement that coaches salaries are reflective of the economics of the game is pure dross, as we all know that the economics of college sports is terrible, and generally unprofitable. And lets be honest here; no other unit of a university could bleed so much money for such a long time, and be allowed to function. In fact, that sort of bleeding leads to a loss of academic accreditation if a unit's finances, and the university as a whole, aren't in order. Coaches salaries are high because coaches operate, unofficially albeit, like a guild. How often is a coach willing to undercut another coach on salary in order to get the job? How often does the arm race factor spill over as mediocre coaches of mediocre teams get raises simply in order to "maintain" them? There is little if no connection between victories, academic performance, and salary. And we all know it. Eventually this will lead, and is leading, to an unsustainable system of athletics. Smaller to mid-size schools, especially private schools, are going to get out of the rat-race. In their place will be a handful of powerhouse teams that will operate like a collegiate NFL, until such a point that even those teams collapse under the weight of it all. I enjoy my college's football team as much as the next person, enjoy tailgating, and enjoy watching football, but not enough to see it drain and ruin my alma mater. You said "Coaches make the difference, more than any other factor, in winning and losing." This is the myth. Coaching is for the most part overrated. Getting the best athletes makes the biggest difference, which means recruiting, admissions, scholarship money and other factors are way more important that X's and O's. Actual game coaching is way down on the list behind recruiting, fund-raising, program buiding and all those other things. The typical insider-speak that coaches salaries are so high because of the market, is truly scary and quite pathetic. We all know the late Mr. Brand started this turnaround-speak when he finally realized that he too was basically powerless (want an interesting read, go back to his published early speeches railing against this very thing). The bottom line is the NFL and NBA market should have NOTHING to do with the salaries of coaches within the context of the college arena. The Nick Saban's of the world are holding wimp president's hostage with the kind of thinking that somehow Alabama would cease- to-exist for it not providing these type of obscene salaries. Recruits will still go to the institutions with the greatest facilities, no matter what a coach makes. People who use the market defense (and, for that matter, the anti-trust/restricted-earnings case defense) for these obscene salaries are as complicit as anyone. Just about ANYONE with a brain knows that the current spending model is destined...DESTINED...to fail. If you don't, check out the housing market. The 20 year recession cycles. Read any freaking Econ 101 text.... Anyone who agrees that coaches salaries in a university context SHOULD be a product of the NFL and NBA market are nothing but complicity insiders. Many "insiders" cannot wait for the day that the anti-trust exemption is repealed and we will finally have TRUE competitive equity. Big-time college coaching salaries are not dictated by NFL and NBA coaching salaries. NFL and NBA coaches make quite a bit less than the best (or even better) college coaches. To that extent, colleges collectively control the coaching market. They aren't competing against non-academic organizations like med, law, and engineering schools do. As a group, presidents have nobody but themselves (and their university communities) to blame for "having" to pay millions for a coach. Obviously, presidents don't think it is too much of a problem. They realize that even though coaches may make 2x+ the amount of money they do, not rocking the boat helps them keep a job that pays pretty darn well. It's nice to see some faculty resistance at WKU. There is a similar situation brewing at Berkeley. The NY Times had a story about students rejecting athletics fee proposals a few months back. Remember, most of the country does not follow sports all that closely. The Pew Research Center published some statistics showing that only 46% of the population followed sports very or somewhat closely. Almost every public pro stadium construction proposition vote is close. It is not unusual for those proposals to lose the vote (see some of the research by Siegfried and Zimbalist). I think intercollegiate athletics will remain no matter what, but there is room for reformers to be successful. The tricky part is for reformers to unify on a vision. Some reform minded like sports a lot, some kind of like sports, some don't care about sports, some hate sports. Getting these groups on a same page (or at least close to the same page) is key. Here is my proposal if anyone cares. Why are we spending so much public/"charitable" money on pro sports and professionalized "educational" sports (K-12 and college) that benefit so few people? Scrap that useless idea. Public money should go towards building recreational facilities for ALL. Those of us working at or attending colleges with fitness centers may not realize how difficult it is to join a gym. It's expensive! Why are we wasting money on very nice facilities and equipment for very few people that are already beyond fit? Are pro athletes even all that fit if their knees are shot by the time they are 35? Spend the money providing facilities, equipment, and personnel to keep the population active. If average Joe cannot pay for gym membership, how can poorer people? The idea may seem radical, but it seems to work pretty well in Europe. That's my proposal. Does it need to be researched further? Yes, but it is a starting point. I think it is a great proposal to build on, don't you?